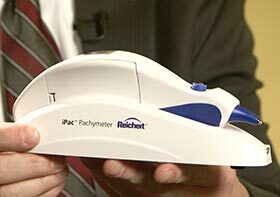 The Reichert® iPac® Pachymeter is the most feature-rich handheld ultrasound pachymeter available. 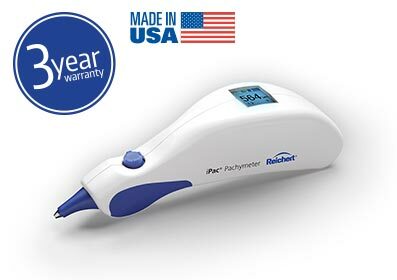 iPac is an easy-to-use, lightweight handheld pachymeter with a comprehensive set of features to optimize practice efficiency. 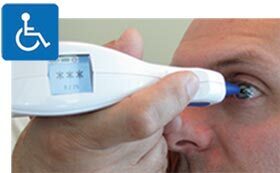 iPac features an advanced filtering algorithm that ensures accurate central corneal thickness (CCT) measurements over a wide range of corneal thicknesses. With the intuitive user interface, exams are more efficient for you and more comfortable for your patients. 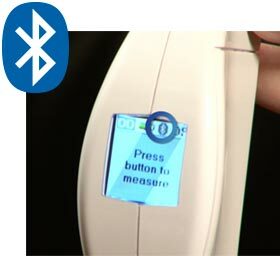 Send measurement data directly to your EMR system or to the optional wireless printer via Bluetooth Connectivity. Wireless communication eliminates the risk of transcription error and makes for a more efficient measurement process. Easily access all functions of iPac through a simple single, 5-way control button. Wake up iPac by pressing the button once, then again to put iPac into measurement mode. Effortlessly switch between OD/OS measurements by toggling left and right. The large, easy-to-read display automatically rotates to be viewed in any orientation. 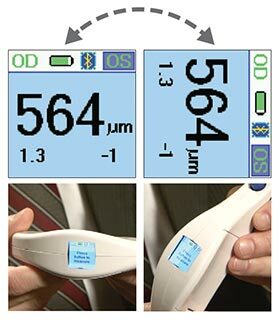 The operator is able to read the measurement data while iPac is being used on a patient in any position. 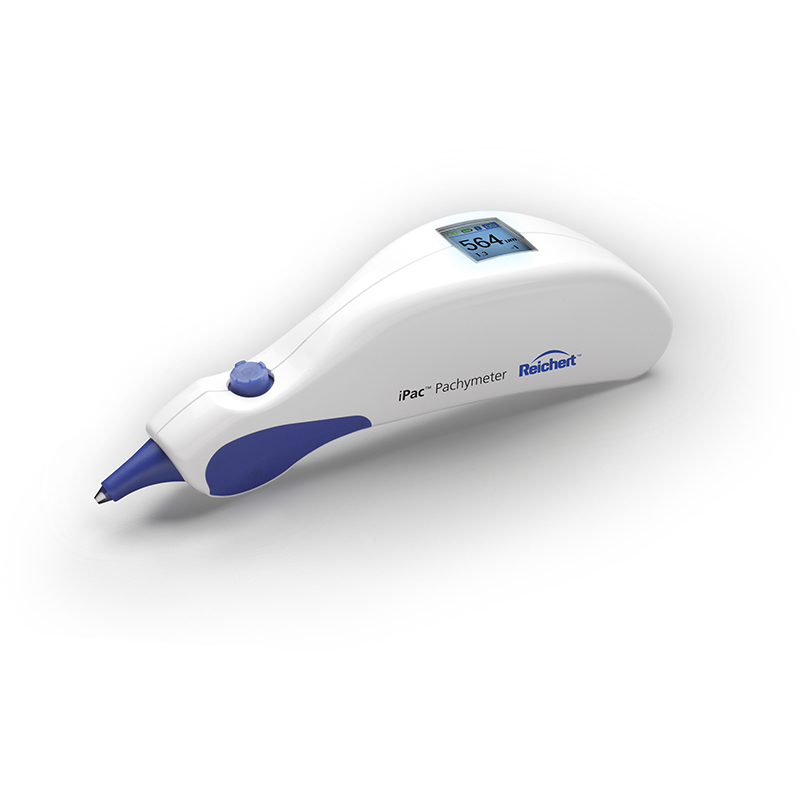 The rechargeable Lithium-ion battery is designed to have a long lasting charge ensuring iPac is always ready-to-use. Charge iPac using the provided USB cable, or the convenient optional charging cradle. Designed for left or right handed use, the lightweight iPac fits comfortably in any operator’s hand. 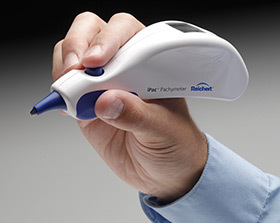 The ergonomical design of iPac is based on our award winning Reichert® Tono-Pen AVIA® Handheld Tonometer. The purchase of iPac may qualify for ADA tax benefits. Refer to Americans with Disabilities Act, Title 26, Internal Revenue Code, Section 44. You can rest assured that your practice will be protected with an industry leading 3 year warranty starting from date of purchase. iPac is made in the USA.